Are you looking for a reputable commercial cleaning service provider in Somerset, NJ? At NLC Solutions, we have got you covered with a wide spectrum of industrial and commercial cleaning solutions at the most affordable rates. We have been in the business since 1986 and have delivered consistent results since our inception. We do not make promises that we cannot deliver. We understand clean and how it can improve efficiency, morale, and customer satisfaction. Our client first approach ensures your satisfaction. Premium Office Cleaning Services: Our teams use the most effective cleaning techniques and products to ensure your commercial space is a clean and healthy place to be. Hard Floor Care & Carpet Cleaning: NLC Solutions delivers comprehensive commercial floor cleaning services, from floor waxing and stripping to carpet cleaning. These services can be scheduled at a time slot that does not disrupt your business. Green Cleaning Services: At NLC Solutions, we only use eco-friendly cleaning supplies that do not contribute to polluting the Earth. Cleaning Supplies: We provide a full line of cleaning solutions - from hand soaps to heavy-duty detergents. NLC Solutions only uses green-certified soaps and cleaners. We also manage your paper products and trash can liners, and more. Schedule a comprehensive cleaning assessment with NLC Solutions today. 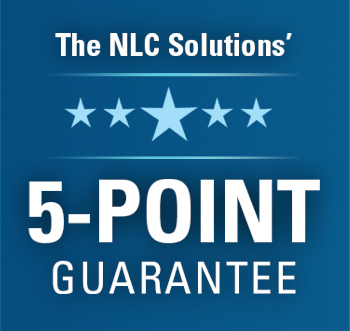 Call us at (908) 753-3900 or email us at info@nlcsolutions.com for more information.